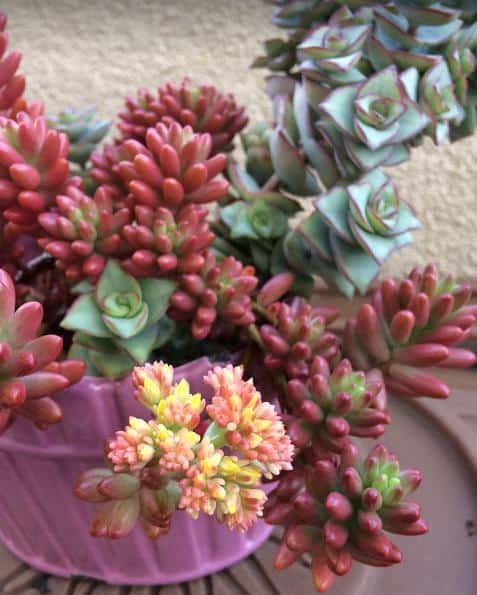 One of my favorite things about springtime is seeing my succulents bloom. 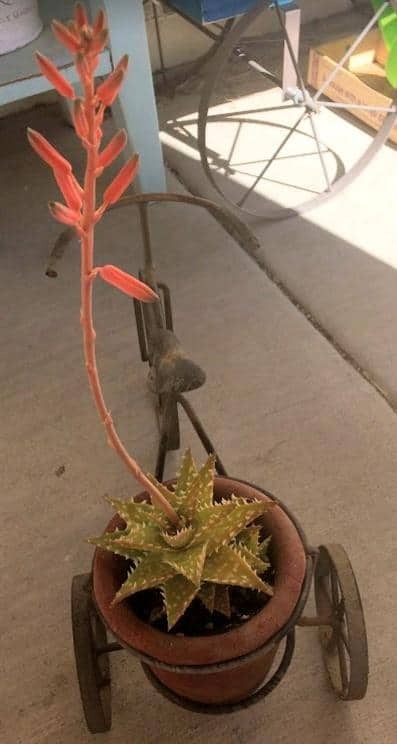 While not the main goal for most growers, getting your succulents and cacti to bloom is an added bonus and often considered icing on the cake. 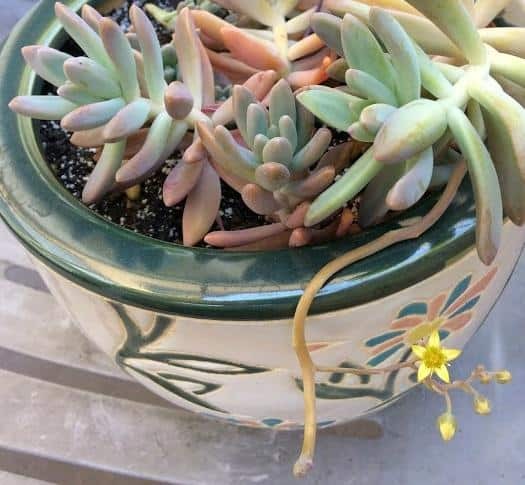 Witnessing your succulents and cacti bloom, no matter how many times, can be very rewarding and a validation that you are doing something right. On top of that, some also produce incredibly beautiful, showy and colorful flowers that are a sight to look at. 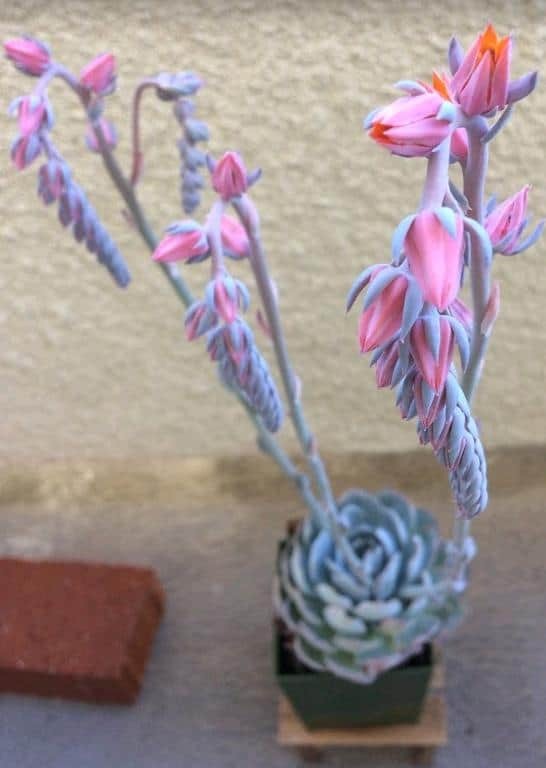 While flowers are not the main focus for most succulent growers, getting them to bloom is truly an exciting and wonderful process. 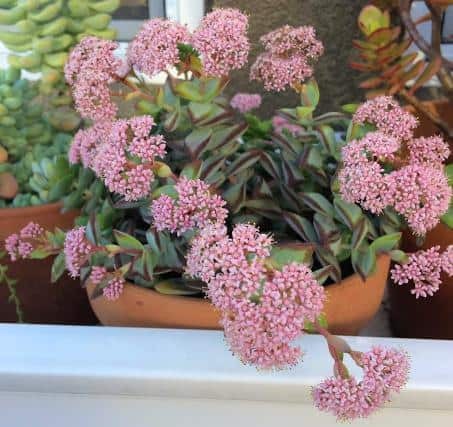 Like non-succulent plants, succulents flower to attract pollinators. 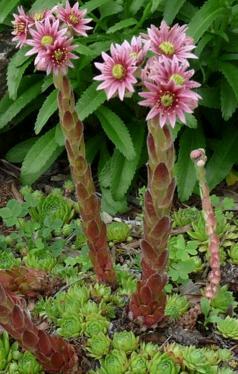 The flowers contain the reproductive parts of the plant. 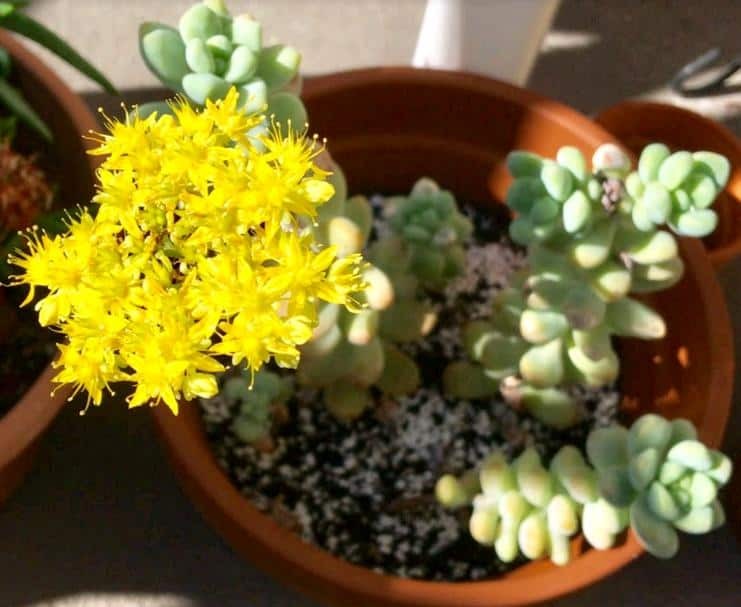 In the wild, succulents rely on insects and other animals for pollination. 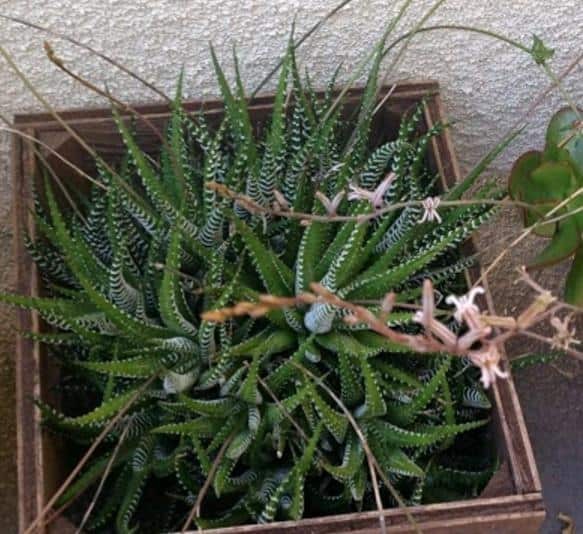 Succulents also rely on wind pollination for seed distribution. Some flowers are brightly colored and sweetly scented to attract bees, butterflies, birds and other pollinators. Some flowers are foul smelling and attract flies and ants. 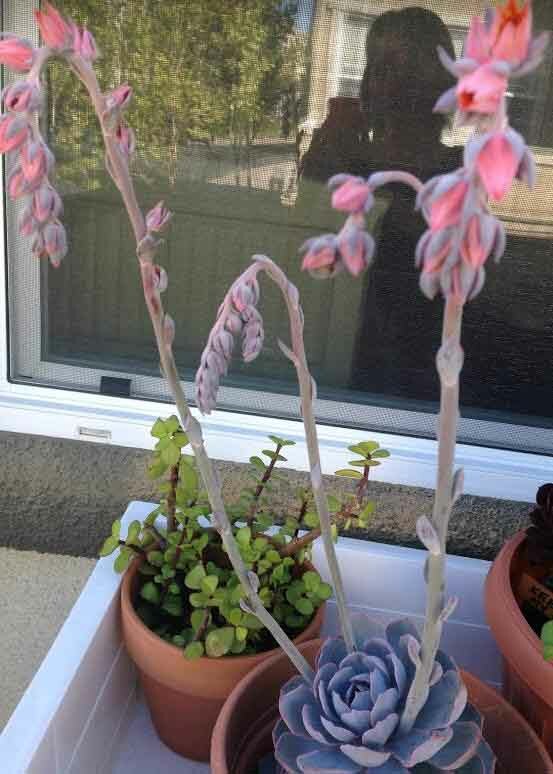 How do you get your succulents and cacti to bloom? 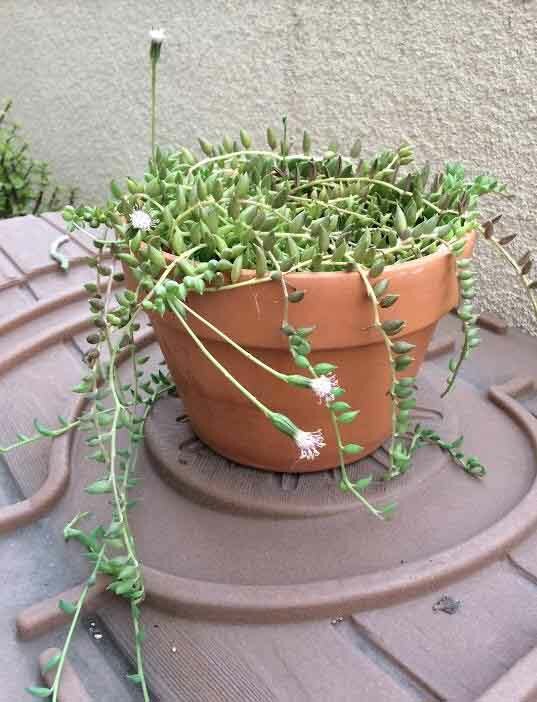 Are there steps to take to get them to flower? 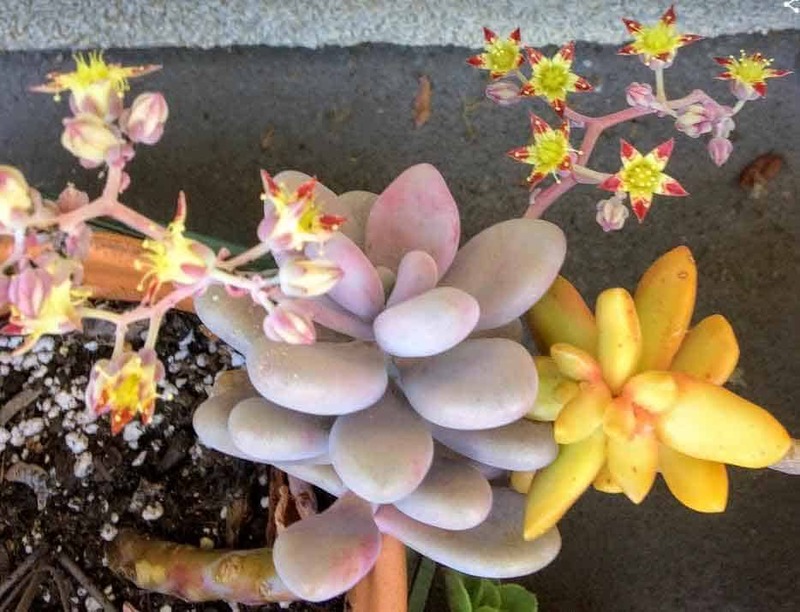 Keep in mind that not all succulents and cacti bloom. Some may take years to mature and bloom, while others may never flower at all. Some plants that are kept indoors may never bloom. 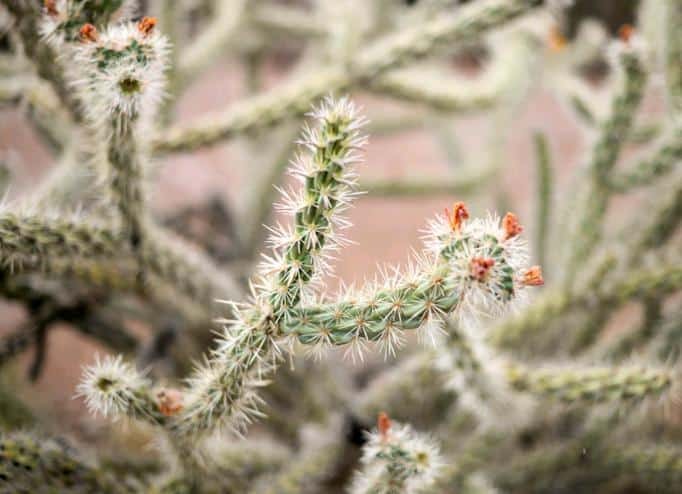 Succulents and cacti prefer a distinct difference in night and day temperatures as well as summer and winter months. 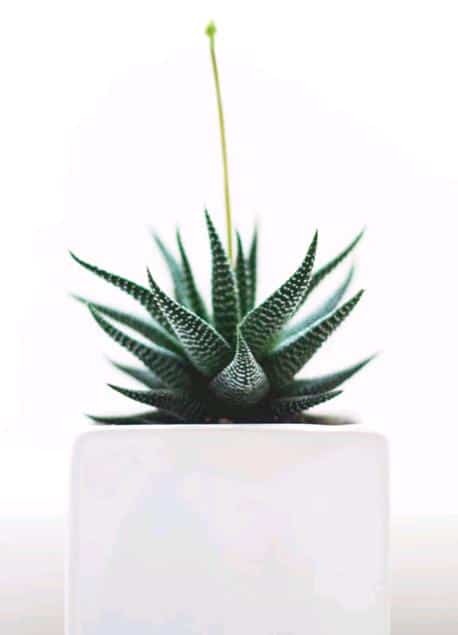 Succulents favor cooler outdoor nighttime temperatures of 50-55⁰F (10-13⁰C) or indoor night temperatures of at least 60-65⁰F(15-18⁰C). 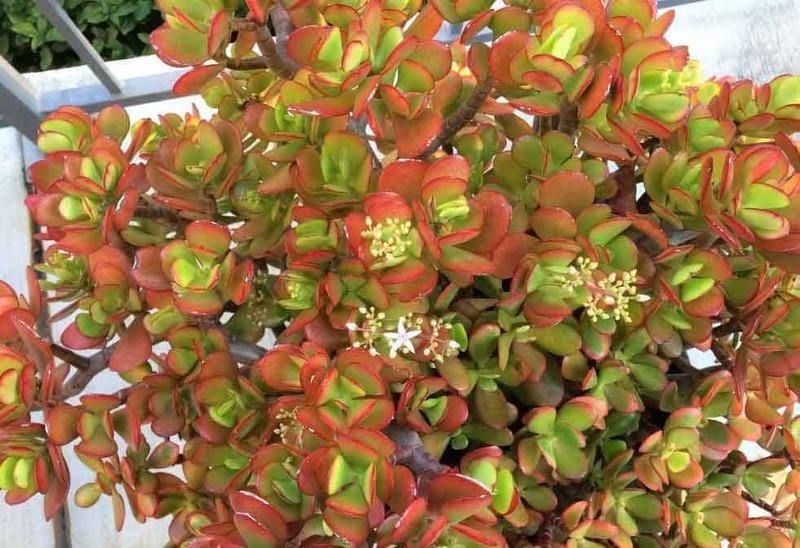 Especially when kept in a controlled environment, succulents prefer a marked difference between their night and day temperatures to mimic their natural habitat, with the cool night temperatures having an integral part in the plant’s growth cycle. 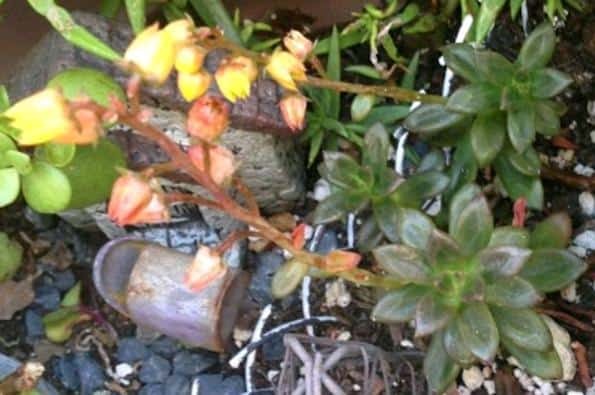 Overwintering is also important if you want to see your cacti and succulents bloom. 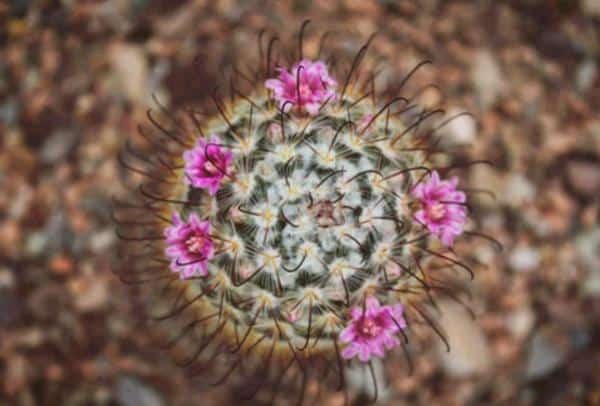 This can be achieved by keeping them cool and relatively dry in the winter months, especially desert cacti. Keep them cool during winter months with temperatures just above freezing, between 35-44⁰F (1.5-7⁰C). If kept indoors during winter, have them in a non-heated room if possible or keep the temperatures low to provide them the cold winter period that they need. 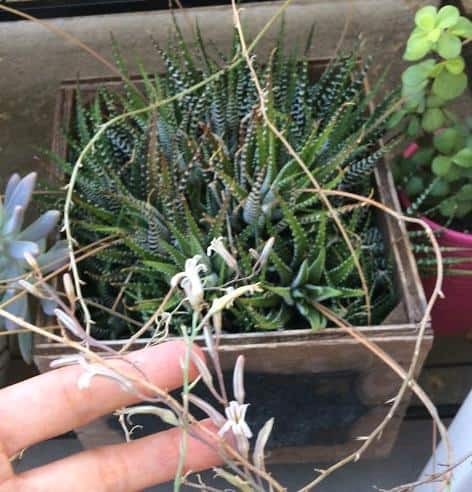 This excludes Rhipsalis, Schlembergera and Hatiora species (Holiday cacti) which have different watering and temperature requirements from desert cacti (see below for Holiday cactus blooming tips). Make sure the plants are receiving adequate sunlight throughout the year and are kept in a bright location, even during colder winter months. Most cacti and succulents need at least 4-6 hours of bright light, or more. Some plants cannot handle intense, full sun and need filtered but bright light to prevent sun damage. Plants that do not receive enough light eventually etiolate, start looking pale and stretch out to look for more light. Place plants in south or east facing windows indoors to ensure adequate lighting. If needed, consider using grow lights to provide enough light indoors. 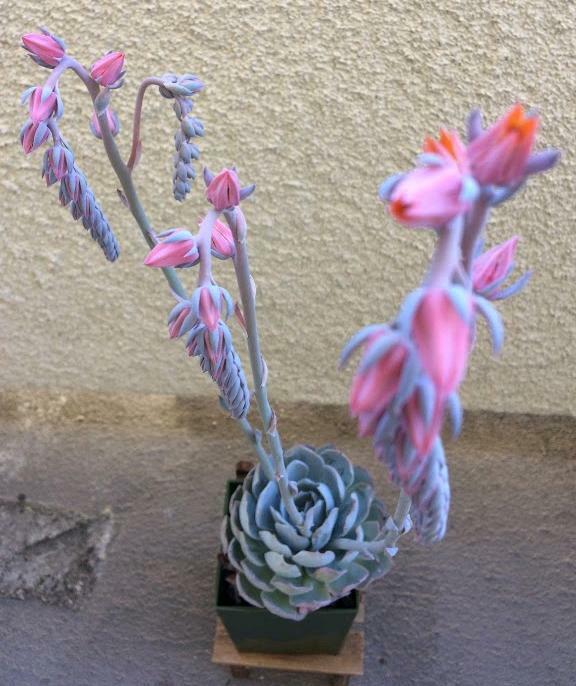 Succulent plants that do not receive adequate sunlight do not grow properly and will most likely not flower as well. 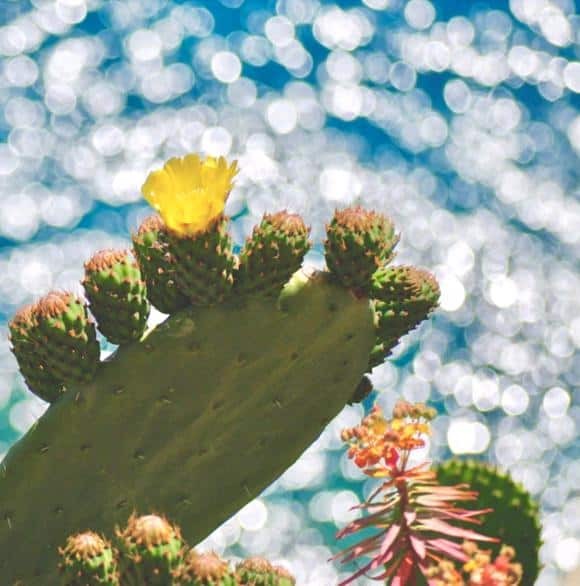 While cacti and succulents have the ability to store water, they still need to be watered regularly during the active growing season. Watering them regularly helps ensure that they do not deplete their water storage necessary for growth. 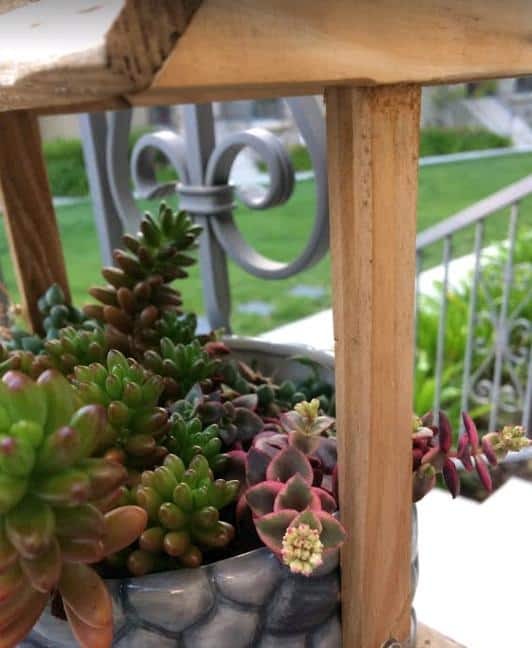 Watering them regularly also helps them withstand the more intense summer heat better. During the active growing season, water plants thoroughly until water seeps out of the holes of the pot. Wait until the soil dries out before you water again. You can feel the top inch of the soil for moisture before watering. Increase watering frequency during hot summer months and decrease watering during cold winter months. 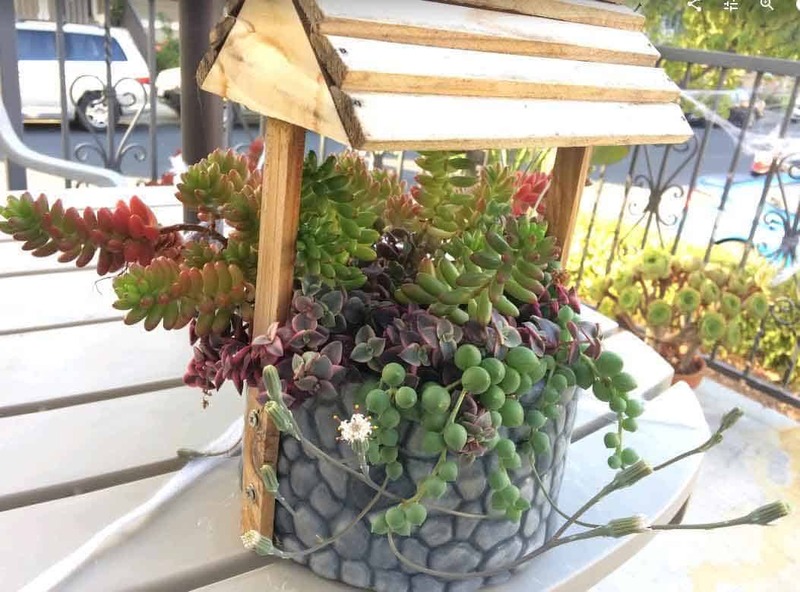 Overwatering is detrimental to succulents and cacti so make sure to allow the soil to dry out in between waterings. 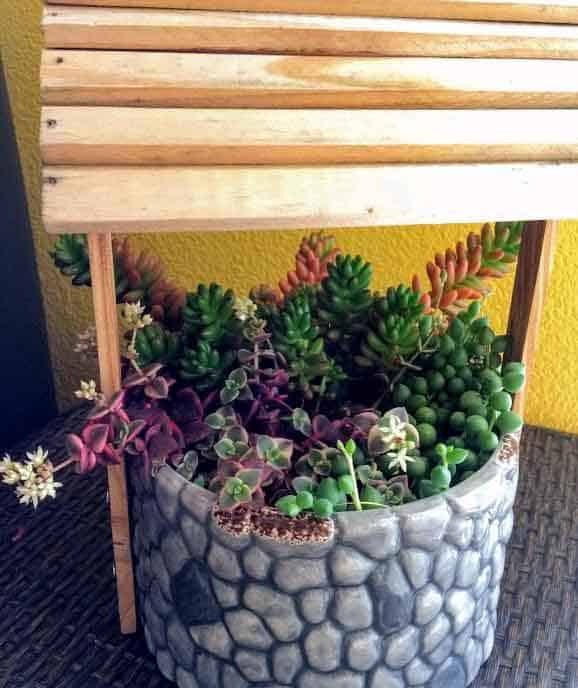 Along with proper watering techniques, succulents and cacti need a well draining soil. Succulents and cacti do not like to sit in water. Their roots are susceptible to rot if kept wet for too long. 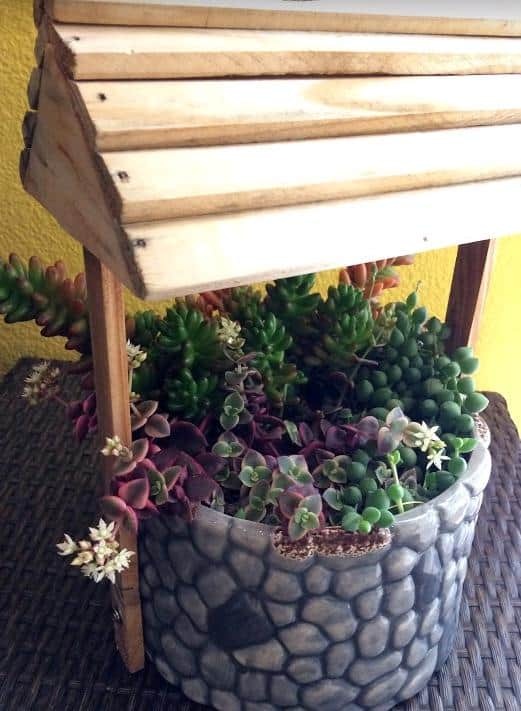 The most important requirement in a succulent potting mix is its ability to drain well. 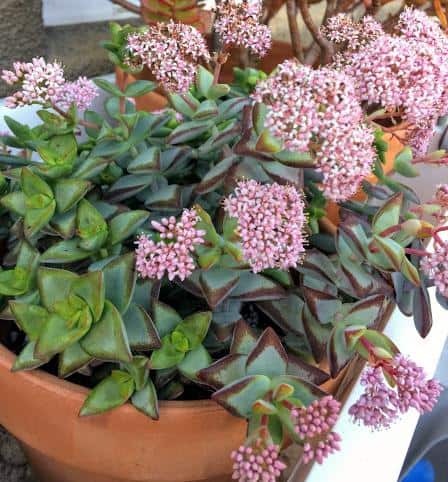 You can make your own succulent potting mix or use a commercial potting mix. Providing the right medium gives them a better chance at thriving and flowering. 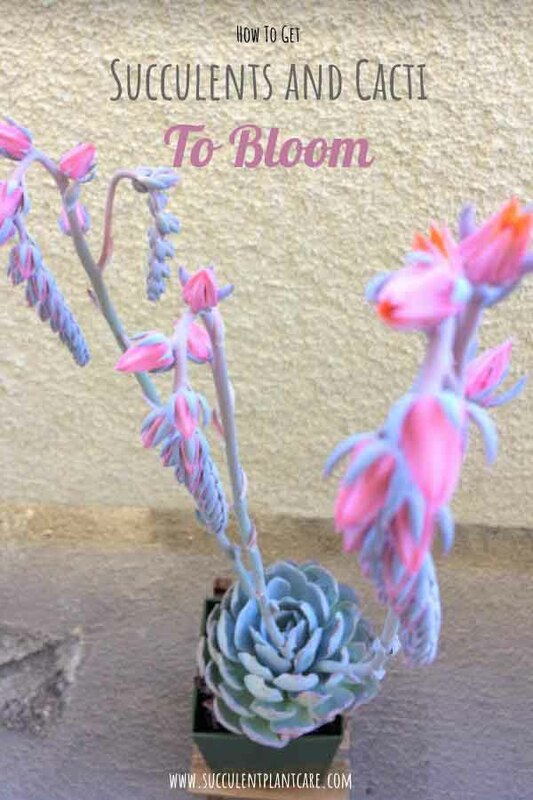 Keeping your plants happy will help encourage them to bloom. 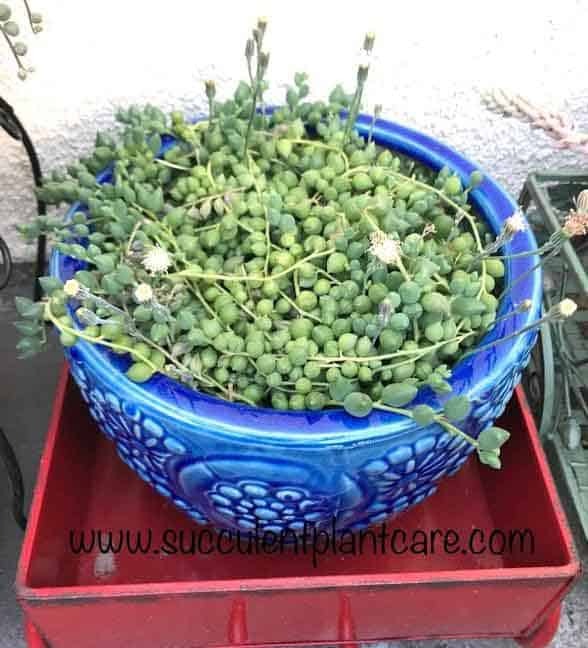 Schlumbergera and Rhipsalidopsis or Hatiora (Holiday Cactus, Christmas Cactus, Thanksgiving Cactus, or Easter Cactus) have different watering and temperature needs from desert cacti and succulents. Native to the tropical rain forests of Brazil, they require some humidity and will not tolerate intense heat and frost. They belong in the Schlumbergera and Hatiora species, and are different from other cacti in their appearance and habits. They are epiphytes, meaning they grow on trees in wet and humid regions, or on rocky grounds as lithophytes. One of the most common varieties are the Christmas Cactus or Easter Cactus, which are popular houseplants for their beautiful, showy flowers. These tropical cacti does not do well on full sunlight and afternoon sun. Starting fall season, around October, cut down on watering but do not let the soil completely dry out. Wait until the top ½ of the soil feels dry before watering again. 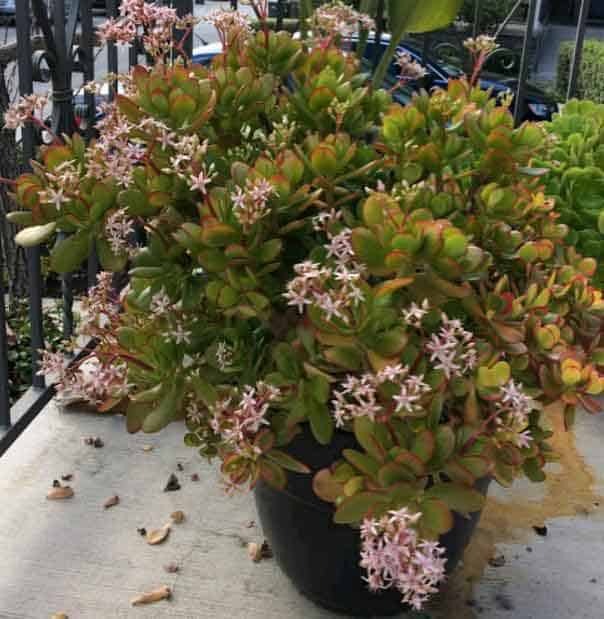 Depending on the temperature, the medium used, and the size of the pot, this can be anywhere from 3-6 weeks between watering. The plant needs about 12-14 hours of darkness during the night in order to encourage it to bloom. Provide bright, indirect light during the day and at least 12 hours of darkness at night. This reduction in light needs to start approximately 8 weeks before you expect it to bloom. Provide cooler temperatures of about 50-60 ⁰F (10-15⁰C). Avoid placing the plant where the temperature can vary greatly from extreme hot to extreme cold. 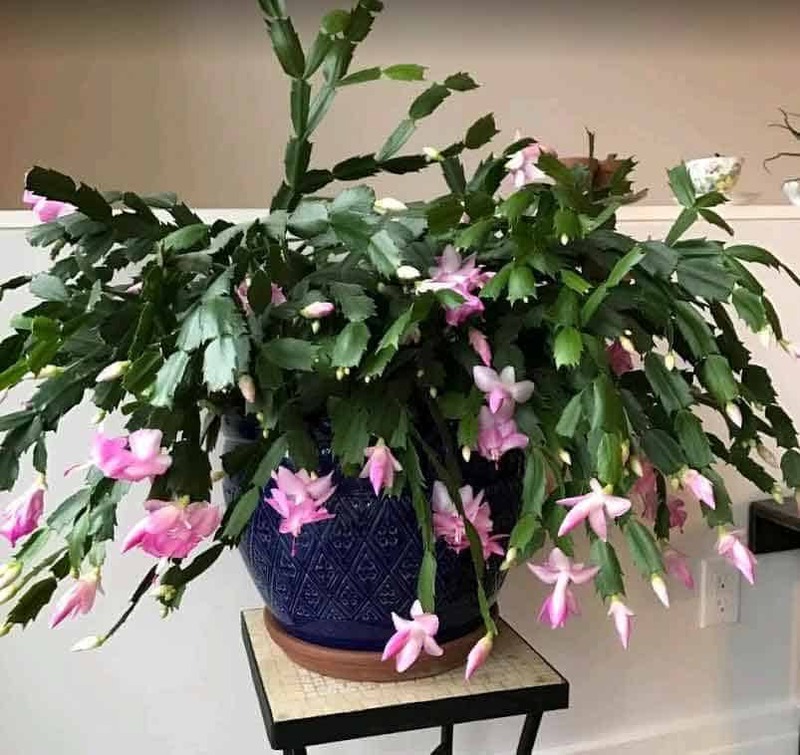 Your holiday cactus may bloom on its own without much help from you, but some may need to be placed in environments where it is more conducive for them to bloom. These tips may hopefully help to get yours to flower. 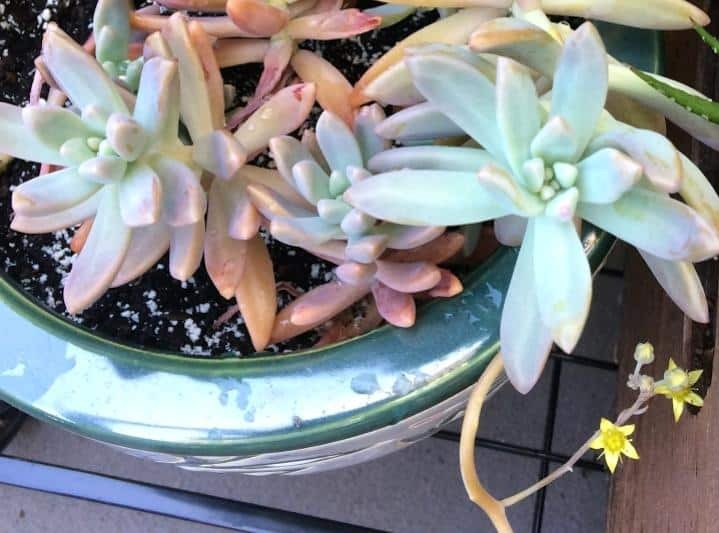 Do Succulents die after they flower? Monocarpic plants are plants that die after they flower. 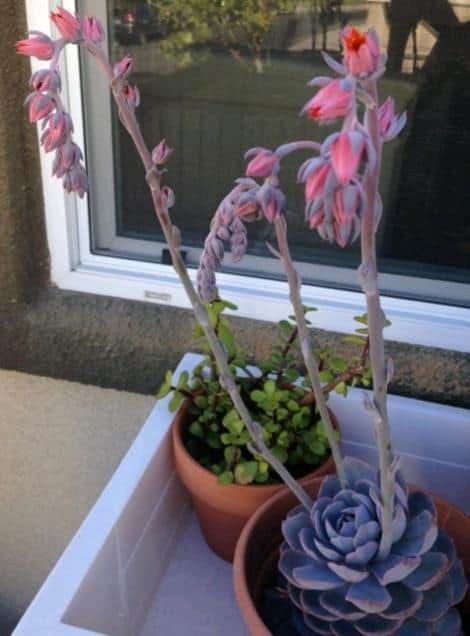 Some succulents are monocarpic, but most are not. Most aeoniums are monocarpic. 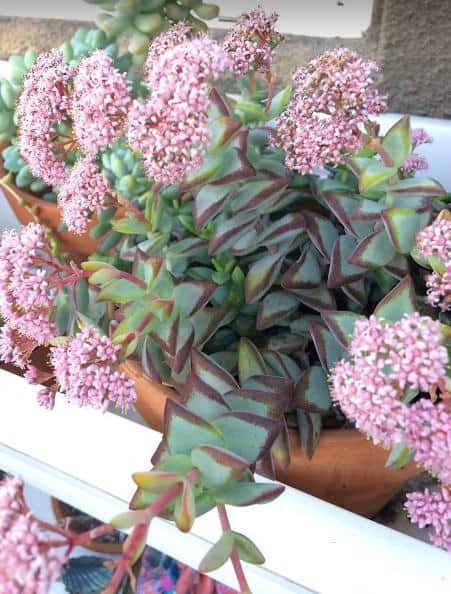 Aeoniums produce white or yellow flowers that shoot out from the center of the rosette. Once the flowers are done blooming, the plant dies. Its offshoots and surrounding rosettes that did not bloom continue to survive. Monocarpic plants often go for a number of years before flowering. By then, they would have produced plenty of offshoots that can be replanted and started as new plants before the mother plant flowers and eventually dies. Some Agaves and Sempervivums are also monocarpic. 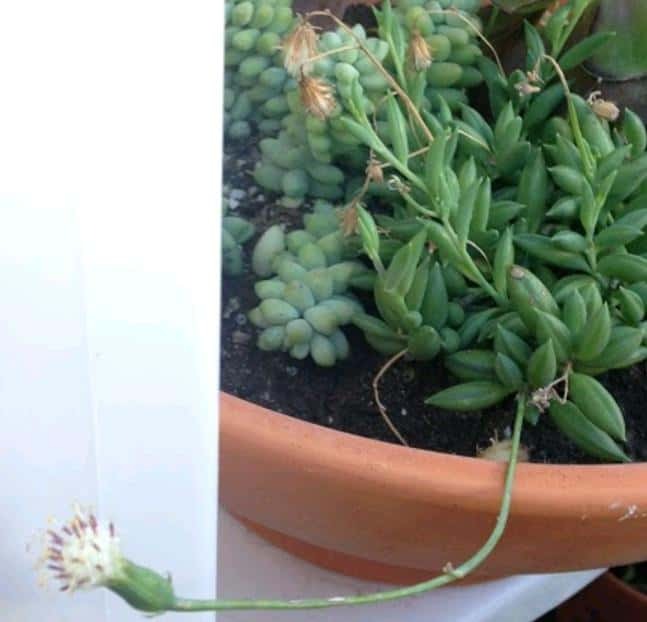 Below are pictures of my succulents in bloom. 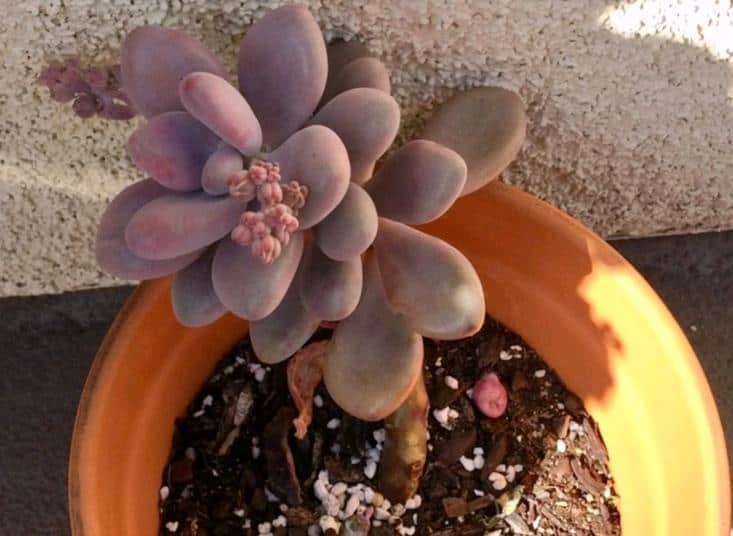 I have maintained the same care as I mentioned above for most of my plants. But I think for the most part I’m just lucky to be living in sunny Northern California. 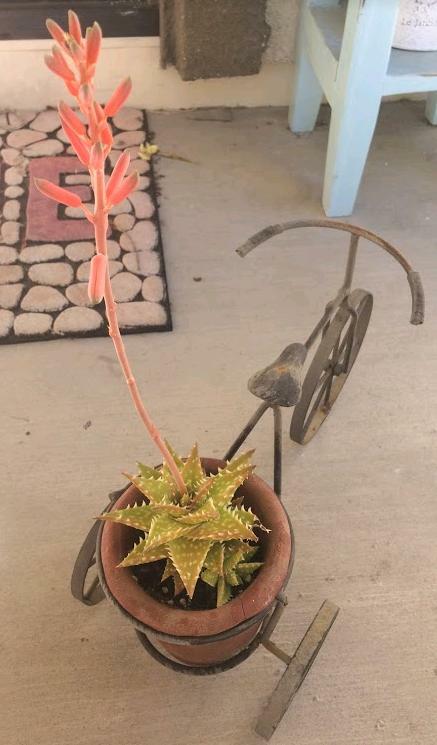 I keep all of my succulents and cacti outdoors all year. I find that they are happier outside. 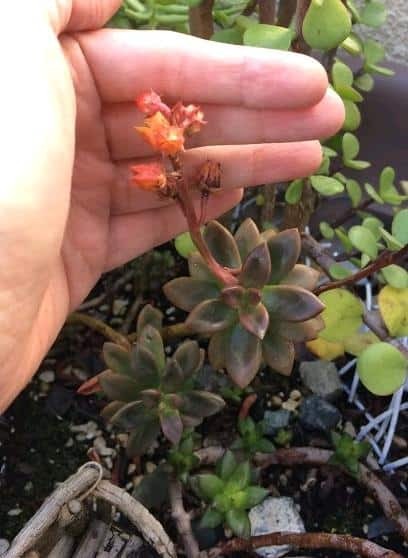 We get some nights of freezing temperatures but I am too busy or lazy to bring my plants indoors for the winter so I pretty much leave them all outdoors even when there is forecast of frost. I think what saves my plants from frost, even the non-cold hardy ones is the bright sun we get during the day. I also do not water them much during the winter season and rely mostly on rain water that we get unpredictably. But I still do water them when they’re dry during winter and definitely water them regularly during warmer months.